Songs - Links to YouTube videos below. MLP Equestria Girls 2 Rainbow Rocks,or simply known as Rainbow Rocks, is an upcoming MLP big theater release,centered again on the Equestria Girls universe,like its predecessor. Reactions from the original Equestria Girls movie were extremely divided.Some people praised the characters's designs,based on the MLP universe,other people criticized his poor plot,and the appearing of Flash Sentry,who,apparently,Twilight had a crush on at the ending of the same movie. Will this movie receive a better reception?Or it will fall into the darkness,and be panned by the critics? I think the first one had tons and tons and tons of flaws, but it still managed to feel like MLP and I still managed to like it. But a battle of the bands? Really? If that actually happened I think it would be a sad day for all us pony folk. Well I have no opinion since there is limited information on that. I just hope the fandom doesn't freak out a lot like they did with the first one. That was really unnecessary. I thought the first one was okay so we'll just have to say. Anybody else get the feeling that Hasbro must have gotten a heck of a deal on a few truck loads of rainbow hair dye and they're trying to figure out what to do with it? If this was real, I would probably accept the sequel to the first one other than that I think you know my reaction. If this was real, I wouldn't care I liked Equestria girls it was a good movie but it's not like I'm demanding another though. Still, if there is a new movie even though it has not been confirmed then that's just one more thing to look forward too. If we get more good music, I am all for it. I see no reason to hate the idea. Well, this is certainly surprising, but okay and great none the less. The band approach thing does sound a bit weird and out of place, but I'm interested to see how this is pulled off. Either way, I liked the first one, so to anyone else, I'll await patiently. 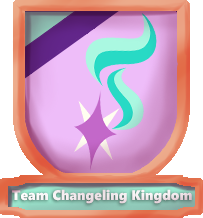 Well, since I love Equestria Girls. Please don't hate me but.....*acts like Daniel Bryan* YES! YES! YES! Ok I'm done anyway I'm in. Let's just see it first and go from there. Like I said with the first movie, let's wait for more info and for the movie to come out and watch it. Worse case scenario it's not that good. But I'm very excited for it! 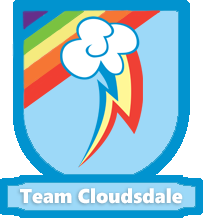 I think the only way they could pull off the battle of the band theme is if they don't bring anybody from Equestria through the portal and just make it about the alternate universe... but I have a bad feeling if this does happen they're going to come up with some reason why Equestria will be doomed if Twilight doesn't win Equestria High's talent show, and if they do that there's no way they'll have a plot that actually makes sense. Think about Princess Skyla for a moment here. People have been saying that she'll appear in the show since season 2. We're into season 4 and there hasn't been a single mention of her. Also, a book doesn't necessarily mean a movie will come out too. For all what we're concerned, it's a book and nothing more. What's that you want a pony movie no that would make too much sense, your getting ugly humans playing crappy pop music. Maybe this is just from the book and not an actual movie. Well, I saw the first and it was... passable.... barely. I probably wouldn't bother with this unless it got glowing reviews. Actually, I have to say that the story premise suggested in some other thread (about human Twilight entering the pony universe) was a lot more interesting than this. Honestly I don't care much for EQD. The only negative thing I have to say is that the toys looks like mutated Barbie dolls.  I don't understand why we can't just get a regular mlp movie. But whatever...a movie is a movie. This may be one movie I'm skipping out on unfortunately. I'm okay with Flash Sentry as long as he's not blatantly put in there for Twilight's romantic interest. The first movie did that and it failed horribly. If there is a second movie hopefully they will have learned thier mistakes from the first one. Very true. It was just nice to see her thinking about the possibility of having a "very special somepony". She'd be picky about his personality in the long run, but most attractions start as a simple crush. What you are doing, right here, stop that! Do you emember the pony armogedon that happened with the first Equestria girls movie? Wit h the leave the fandom this and evil hasbro that. Though I think that's based on personal preferences. I for example don't like romantic relationships between someone and the main characters so I kind of dislike it. I, to be honest was against Equestria Girls. But my original dislike of it was more due to it was the 30 year anniversary of My Little Pony and I think turning the ponies into humans seems kinda lame for the 30th anniversary. That said, I did like the first movie. However (and yes there is a however) the quality of the actual doll's isn't all that great. I am also a doll collector and toy enthusiast so as far as the quality goes with the Equestria Girl dolls, I'm not thrilled with them. If the new 'movie' is as good as the first one then I'll be satisfied but as far as the dolls go...I'm kinda 'meh' on them. Since Hasbro is licensing MLP out to other companies anyway, I wish they'd license making the dolls out to another doll company like Tonner or something...so at least the toys would be better. Personally, I would be interested to see what they would do with it, and would try to stay neutral with my opinions of it until it was released; like I was with the first one. I think there is a good chance this rumor could be true, as Twilicorn and Equestria Girls ended up being real as well. One thing I would be scared to see is some of the fandom's reaction to this. 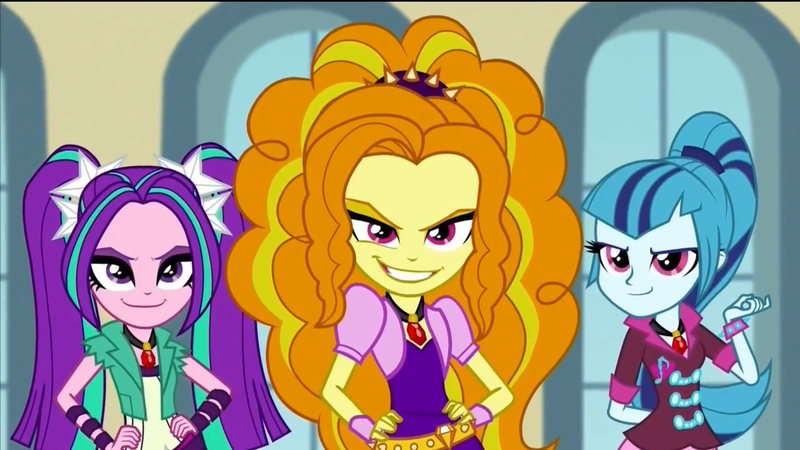 If some of them reacted the way they did with the first Equestria Girls; I don't want to see what happens with this. If they do a sequel, they should bring in Jack Black to play a character on there. Equestria Girls was okay, but really most people never liked it much. If this turns out to be true, then I'm going to be really surprised. The first movie flopped, and making an actual MLP:FIM movie with ponies in it would be more profitable. I don't want it to be true, but I don't own it, so I won't be mad if it is true. I think most people are more mature now after the events of Twilicorn, and the first Equestria Girls movie, so I don't think there will be much drama.